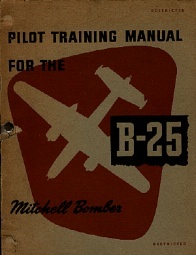 These titles contain the flight manuals for the North-American B-25 Mitchell. 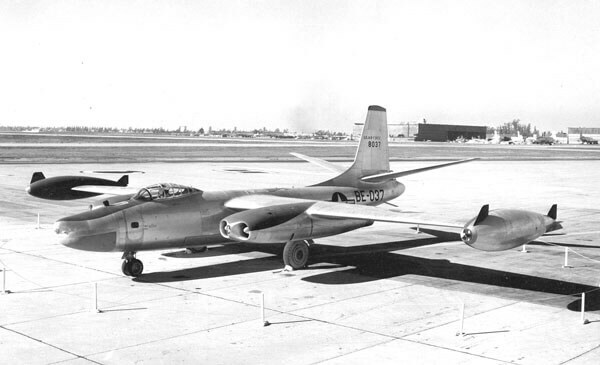 Designed to a US Army requirement for a twin-engined attack bomber, the B-25 first flew in 1939. 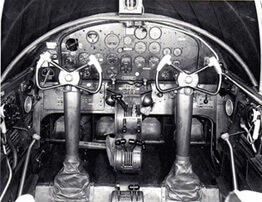 Famous as the aircraft used by General Doolittle for his raid on Tokyo in 1942, the B-25 was produced in numerous variants and was supplied to many foreign air arms. We offer four titles covering various models of the Mitchell. 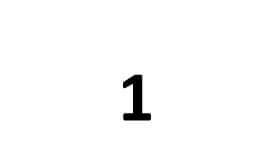 Each title costs US$9.95. 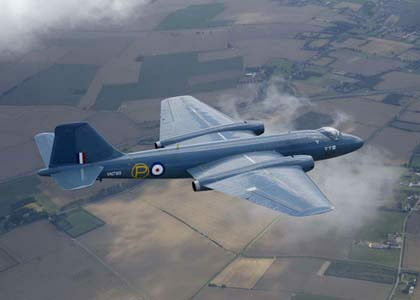 All files have been scanned from the original flight manuals and retain any colour pages. 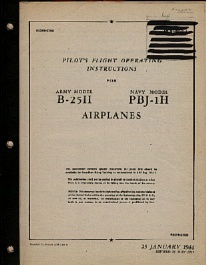 USAAF Pilot Training Manual for the B-25 dated Nov 1944, with 171 pages. 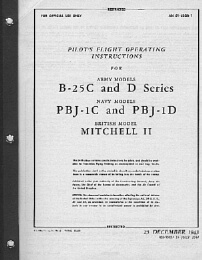 USAAF Pilot’s Flight Operating Instructions for the B-25J, PBJ-1J, PBJ-1D, British model Mitchell III, AN 01-60GE-1 dated 10-7-44 revised to 15-7-45, with approx 122 pages. 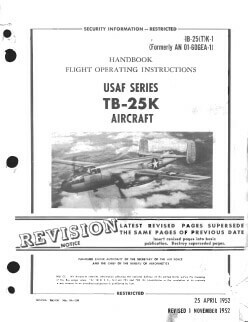 USAF Handbook of Flight Operating Instructions for the TB-25K, T.O. 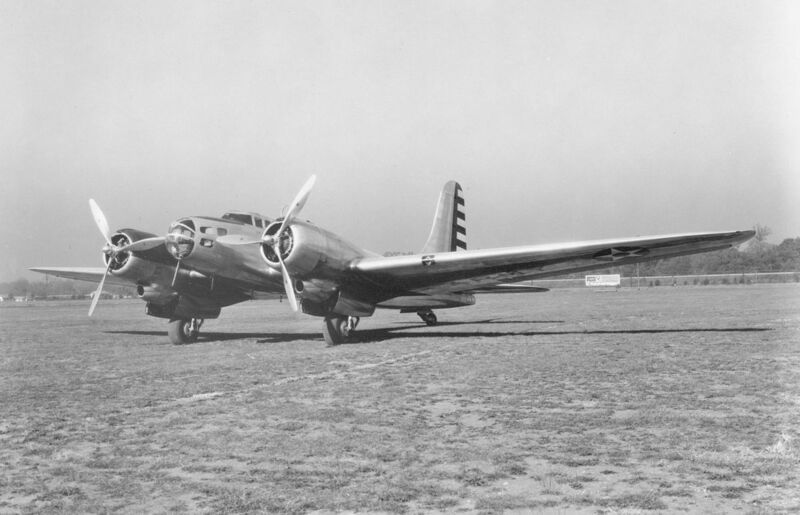 1B-25(T)K-1 (formerly AN 01-60GEA-1) dated 25-4-52 revised to 1-11-42, with approx 112 pages. 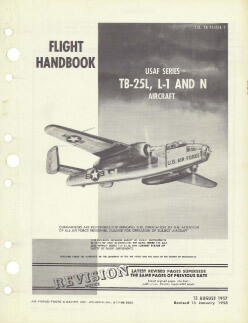 USAF Flight Handbook for the TB-25L, L-1 and N, T.O. 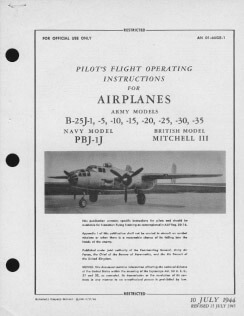 1B-25(T)L-1 dated 15-8-57 revised to 15-1-58, with approx 246 pages. 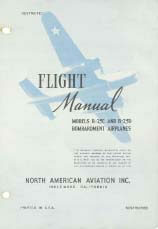 North American produced Flight Manual for the B-25C and B-25D, Report number NA-5182 with approx 383 pages. 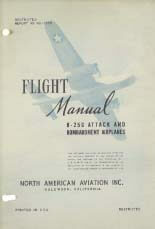 North American produced Flight Manual for the B-25H, Report number NA-5770 dated 15 Nov 1943 with approx 261 pages. 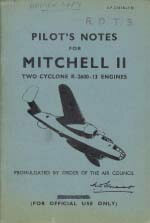 RAF Pilot’s Notes for the Mitchell II (B-25C & B-25D), AP2341B-PN dated Dec 43, with approx 59 pages. This title contains two more flight manuals produced by the manufacturer for the B-25 series, and another one produced by the RAF. 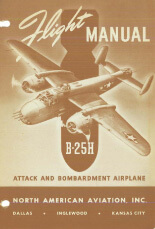 North American produced Flight Manual for the B-25G, Report number NA-5736 with approx 351 pages. 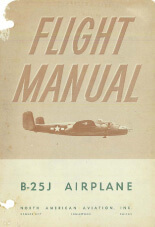 North American produced Flight Manual for the B-25J, Report number NA-5853 dated 15 March 1944 with approx 256 pages. 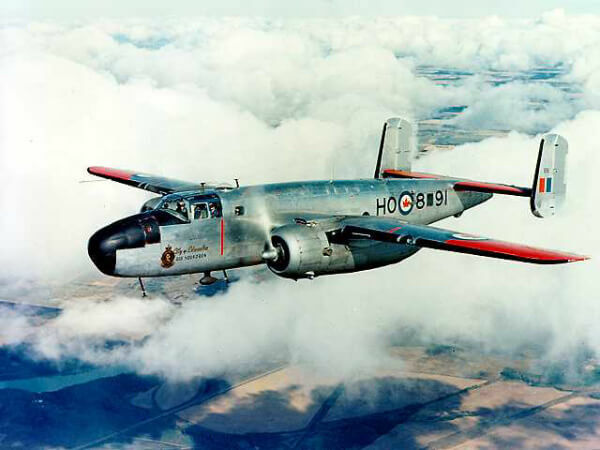 RAF Pilot’s Notes for the Mitchell III (B-25J), AP2341C-PN dated May 45, with approx 49 pages.